When members of OKCMQG met to plan our relief efforts for those in Moore, we knew we wanted to help people both immediately and in the long term. 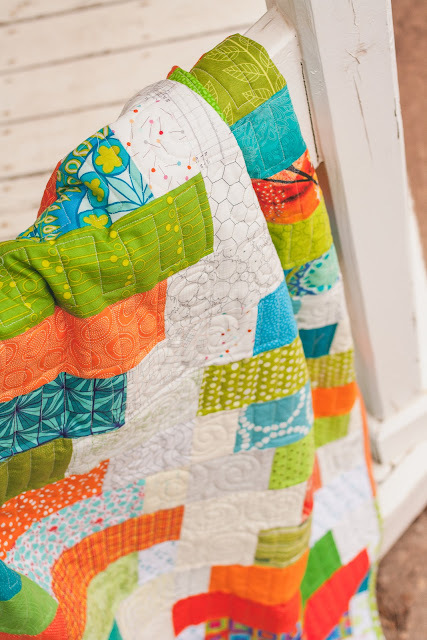 The comfort of quilts is so emotionally healing, and we are simply amazed with the generosity of the quilting community whom has flooded us with quilt donations. So, thank you for your continued support in that endeavor! However, we are acutely aware that money is a big need for those who have lost their homes. Oklahoma has seen two full weeks of just horrendous weather. Multiple tornadoes, 2 of which have been EF-5 ratings. We have seen the widest tornado on record, as well as the one with the highest wind speeds on record. Thousands of homes have been destroyed, lives lost, schools and businesses gone. On top of the tornadoes there has been flash flooding to contend with as well. 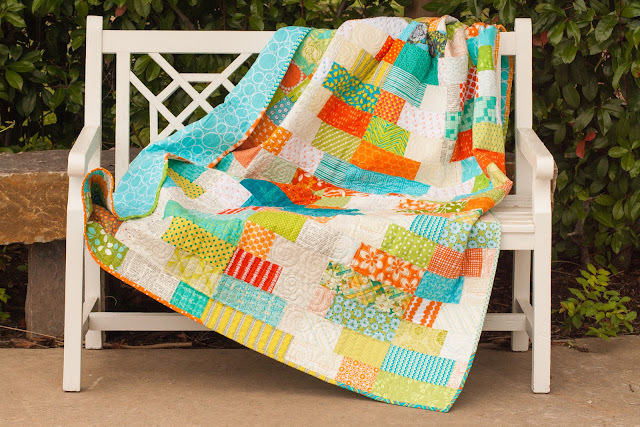 While quilts will wrap us in love and comfort, obviously a variety of needs exist. Each quilt is a very nice throw size, measuring approximately 57"x72". 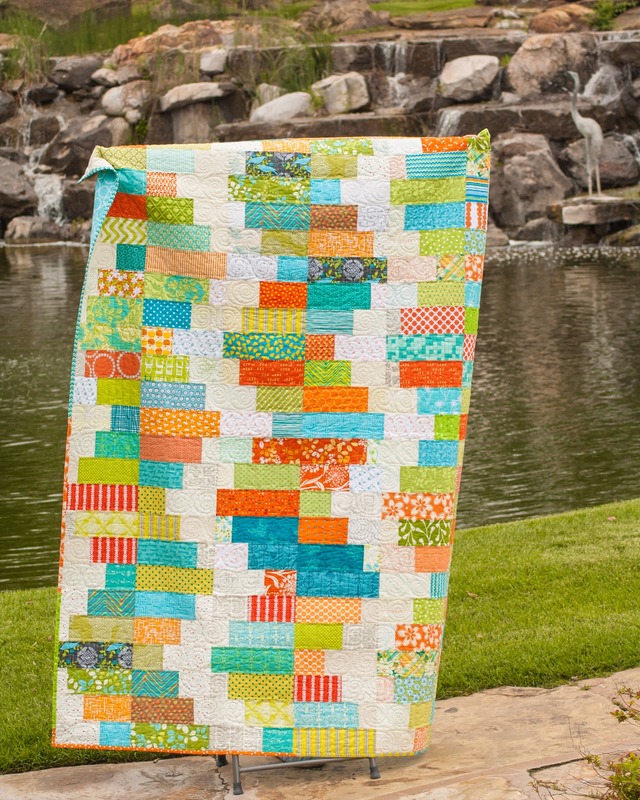 Members contributed blocks using the pattern "Tulsa Town" by Villa Rosa Designs. The color palette is orange, aqua/turquoise, and lime with a background of low volume prints. The backing is "Wide Aqua Circle Dots" by Robert Kauffman. 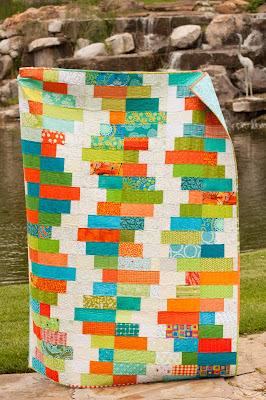 The quilting consists of swirls in the background prints and a "blocky" zig zag in the saturated focal fabrics. 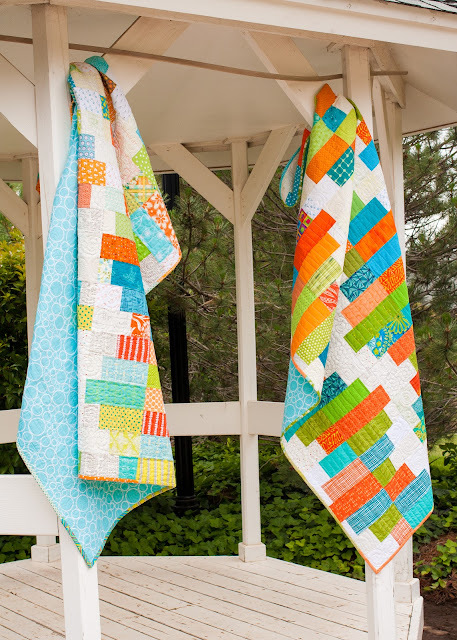 Before we get to the details on how you can donate and WIN one of these quilts, I want to extend our heartfelt thank yous to those who helped us bring these quilts to fruition. Thank you to Villa Rosa Designs for donating her beautiful pattern "Tulsa Town" for our use, to Fat Quarter Shop for once again donating the backing fabric for both of these quilts, to members who created blocks out of their own stash, to Amanda and Candace for piecing together the tops, to Leslie for providing the batting and for binding one of the quilts, and to Agnes for her quilting and sewing the binding on the remaining quilt. 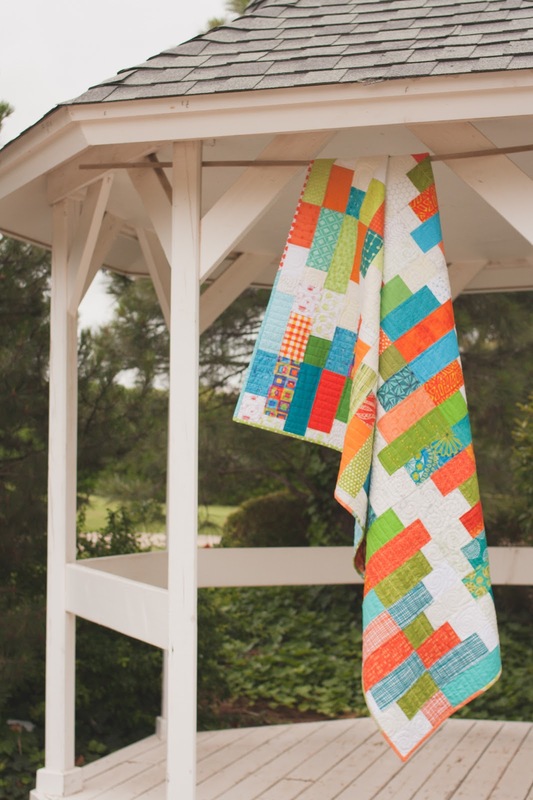 We would also like to thank Coles Garden in OKC for allowing us to use their stunning grounds for our photography and to Oklahoma Quiltworks for displaying both of these lovelies in their shop. United Way of Central Oklahoma's "May Tornadoes Relief Fund"
Once you have made your donation(s) please e-mail your donation receipt to us at okcmqg@gmail.com. 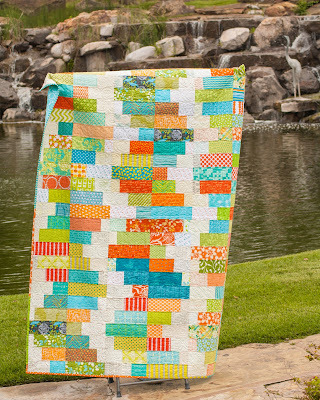 By e-mailing us your receipt you are entering yourself in the drawing to win one of these gorgeous quilts. For every $10 you donate you will receive 1 entry in the drawing. For every $50 you donate you will receive 6 entries in the drawing. We will accept entries (receipts) at okcmqg@gmail.com from now until midnight CDT on Friday, June 21. Two winners will be chosen and announced on Saturday, June 22. THANK YOU to all of you who are supporting our community in this time of need.